License Plate cameras are specifically designed with high frame rates to clearly capture license plates on moving vehicles. These cameras are also equipped with advanced analytic features that recognize when a license plate is in frame and store that footage or trigger an event. 300ft Infared Distance is commonly refrenced as "Night Vision Distance" and refers to the cameras ability to capture footage at night time. The Spear - Long Range 1080p 2MP 60 FPS License Plate Recognition (LPR) Camera has an overall distance of 300ft. Arcdyn Security cameras use the 850nm wavelength for IR illumination. 10˚- 30˚ FOV or the field of view of a security camera is the viewable area that the camera can see. This specification is measured in degress and varies depending on the focal length. Shorter focal lengths give a larger FOV, while larger focal lengths give a smaller FOV. 8MM- 32MM Focal length is a measurment of the distance between the lens and the image sensor. Security cameras have a fixed focal length or a variable focal length. A fixed lens camera has fixed focal length and a fixed field of view. A varifocal camera has a variable focal length and a variable field of view. 150ft Infared Distance is commonly refrenced as "Night Vision Distance" and refers to the cameras ability to capture footage at night time. The Harpoon 1080p 2MP 60 FPS License Plate Recognition (LPR) Security Camera has an overall distance of 150ft. Arcdyn Security cameras use the 850nm wavelength for IR illumination. 300ft Infared Distance is commonly refrenced as "Night Vision Distance" and refers to the cameras ability to capture footage at night time. 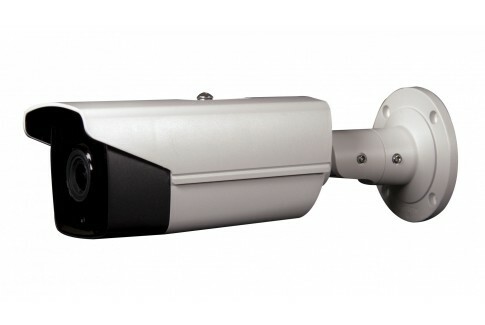 The Tomahawk 1080p 2MP 60 FPS Long Range Security Camera 4.7mm - 94mm has an overall distance of 300ft. Arcdyn Security cameras use the 850nm wavelength for IR illumination. 3˚- 60˚ FOV or the field of view of a security camera is the viewable area that the camera can see. This specification is measured in degress and varies depending on the focal length. Shorter focal lengths give a larger FOV, while larger focal lengths give a smaller FOV. 4.5MM- 94MM Focal length is a measurment of the distance between the lens and the image sensor. Security cameras have a fixed focal length or a variable focal length. A fixed lens camera has fixed focal length and a fixed field of view. A varifocal camera has a variable focal length and a variable field of view.